Probably one of the worst times to find out that your furnace has stopped working is when you wake up in the middle of the night from an unexpected chill. You realize that your furnace is no longer as reliable as you expected. Before you know it, the whole family’s sleep has been disrupted and the last thing you want to do is deal with a heating repair emergency. The compassionate staff at BCS Heating and Cooling is always available for emergency heating repair in Prescott and surrounding areas around the clock. 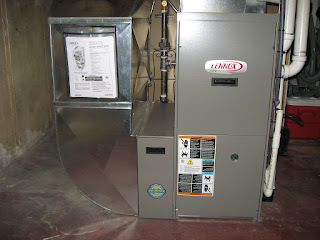 Your furnace needs frequent repair and your heating bills keep rising. Some rooms in your house are either too hot or too cold. You have excessive dust that is traveling through the vents and settling around the house. If you find that it is time to replace your unit, put our knowledge to the test. We will explain which options are best for you heating needs. It’s a major home update. It’s more efficient than the older system. It will start saving you money immediately. The Federal Government offers incentives through tax credits on approved units. There are some things to consider before replacing your furnace in Prescott: the length of time you’ve been in your home without a replacement, if your furnace is starting to feel the effects of old age, if your furnace seems to constantly run. BCS wants to remind you not to wait until you’re facing a heating emergency. Visit our website for more information call us at 928-445-9700 to ask about routine maintenance, or how we can advise you on how to make sure you have a nice warm house this winter.